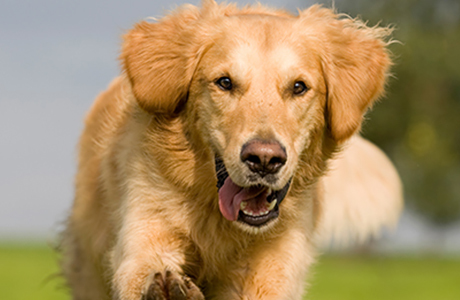 Housetraining a dog is not rocket science but it does require consistency and commitment. If you bring a new dog—puppy or adult—into your home, let it run loose and it soils the place, it’s not your dog’s fault, it’s yours. Any dog needs to learn the rules of the home and where you want it to eliminate. The best practice is to establish a control process for your dog, making it nearly impossible to eliminate inside by accident. As your dog learns the rules, it will earn more freedom over time. Generally, any dog that eliminates in the home needs to be housebroken—there is no such thing as a partially housetrained dog. Even after one accident—assuming it’s not a health issue—you are back to square one of housetraining. Puppies have limited bladder control. Just like a newborn child they can’t hold it for long. Accept that there will be accidents while your puppy learns. When accidents happen, clean them up with non-toxic cleaners to eliminate the smell and to disinfect the area. My favorite cleaner is from Seventh Generation (multi-surface spray cleaner). It is free of harsh chemicals and cleans well without harming you or your pets. The key in housetraining a puppy is structure. For the first two to three months of its life, keep your puppy on leash or in a crate at all times except for limited use of exercise pens. That way your puppy has no ability to soil at random and learns that you are in charge. Housetraining should start when your puppy is eight weeks old and continue at least until week twelve. Keep an eye on your puppy while it is on leash. The leash should not be longer than six feet so you can see your puppy at all times. This also helps spot signs when it’s time for a bathroom break. When you can’t keep an eye on your puppy it should go back into its crate. The crate should be big enough for your puppy to stand up, turn around and comfortably lay down. It should not be larger. By nature, dogs don’t soil where they eat and sleep so the crate is the place to feed your puppy and keep it at night. You can move the crate to the bedroom or use multiple crates but your puppy should be in a crate at night for its first two to three months in your home. In the beginning, take your puppy outside on leash to pee and poop every one to two hours. It should be taken from the crate straight outside to a designated spot for eliminating. Say something like, “go potty.” This will help it to learn that this command means to go outside to pee and poop. Night time potty break intervals can be four to five hours. But in the beginning, getting up at night is the only way to avoid accidents. Don’t just tie the leash up somewhere. Stay with your puppy during the elimination time. When you take your puppy outside during the day to eliminate in the designated area—and it’s successful, reward it with petting and possibly, food. Your puppy needs to learn that going in the right spot is a great thing. However, there is no point in reprimanding a puppy for an in-home accident. If there is an accident, accept it’s your fault not your puppies. At night time, potty breaks should be “strictly business.” You clip the leash on, say “go potty,” take it outside, it goes, and you bring it back in and straight back into its crate and back to bed. House training an adult dog is similar to that with puppies but an adult has better bladder control and so the housebreaking process focuses more on establishing rules and a routine. The principle of control remains the same as with puppies, including using leashes and crates to establish order. For the first week take your dog outside every two hours during the daytime and give it five minutes to eliminate at a designated area. Keep your dog on leash the entire time and stay with it. Say “go potty” every time you take it out. After five minutes take your dog back inside, whether it eliminated or not. When you can’t keep an eye on your dog inside, it goes into a crate. At night you can sleep through and just take your dog out once before you go to bed and then again first thing in the morning. If the two hour rhythm works well, switch to a three to four hour rhythm for another week or so and then switch to a flexible schedule suiting you.